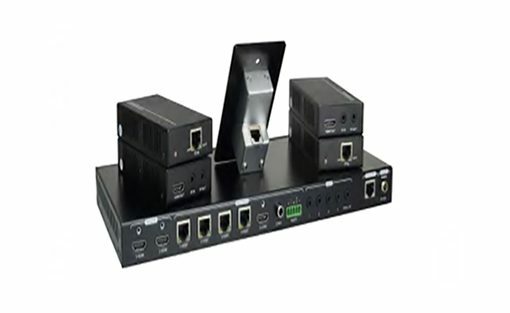 HSS-61S-HD is a seamless 6 x 1 video scaler switcher with 4x HDMI, 1x DisplayPort and 1x VGA inputs. VGA input is compatible with RGBHV, composite and component video formats. 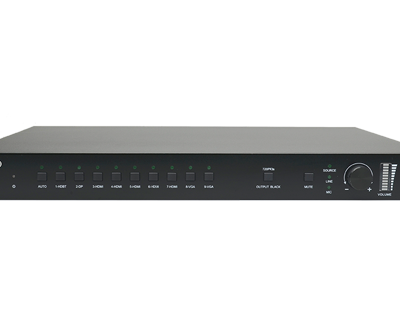 It provides seamless and glitch-free switching with advanced scaling for the needs of high quality presentations. 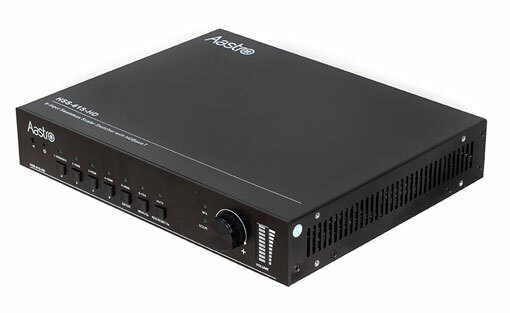 With HDBaseT integration, the unit is able to transmit full HD video up to 230ft/70m. 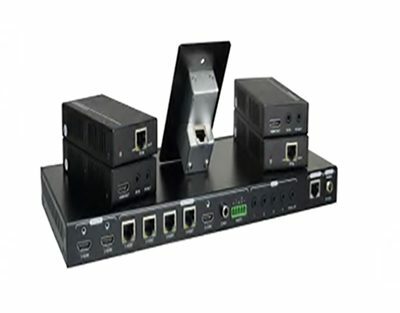 HSS-91-UH is a professional 4K scaling presentation switcher with 5xHDMI, 1xDisplayPort, 1xHDBaseT, 2xVGA inputs and 2 mirror HDMI and HDBaseT outputs. 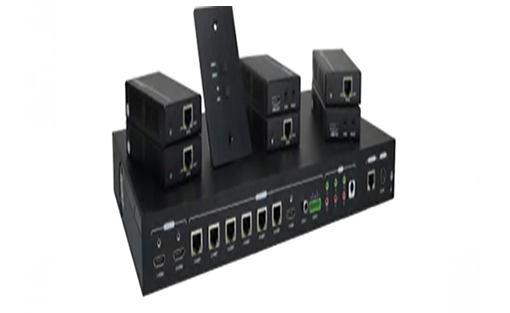 It accepts a wide variety of video formats including HDMI, HDTV, DisplayPort, RGB, and standard definition video. 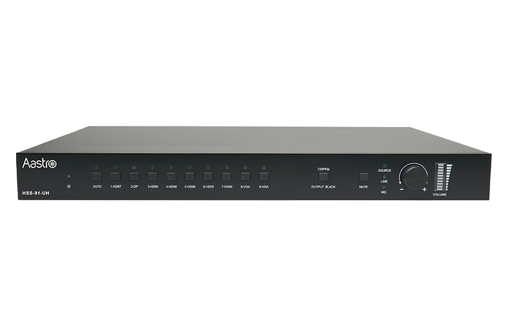 It features most advanced 4K UHD video scalability for all video inputs up to 4K@60 4:4:4. 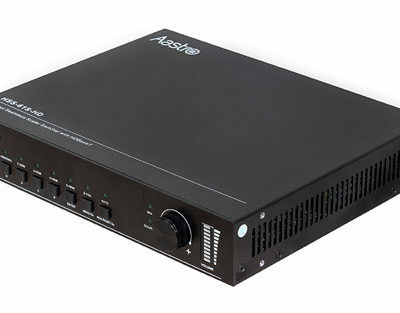 Enhanced audio features Mic/Line inputs and mixing, with 40w 70V/100V constant-voltage amplifier. 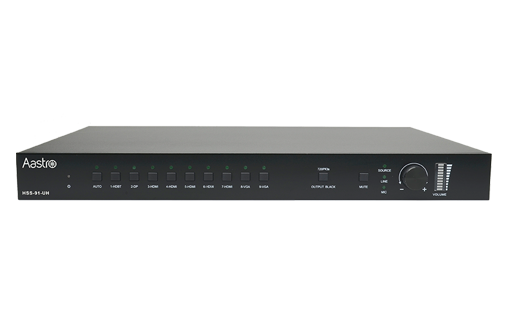 With HDBaseT integrated on output, the HSS-91-UH is able to transmit 4K video up to 328ft/100m.